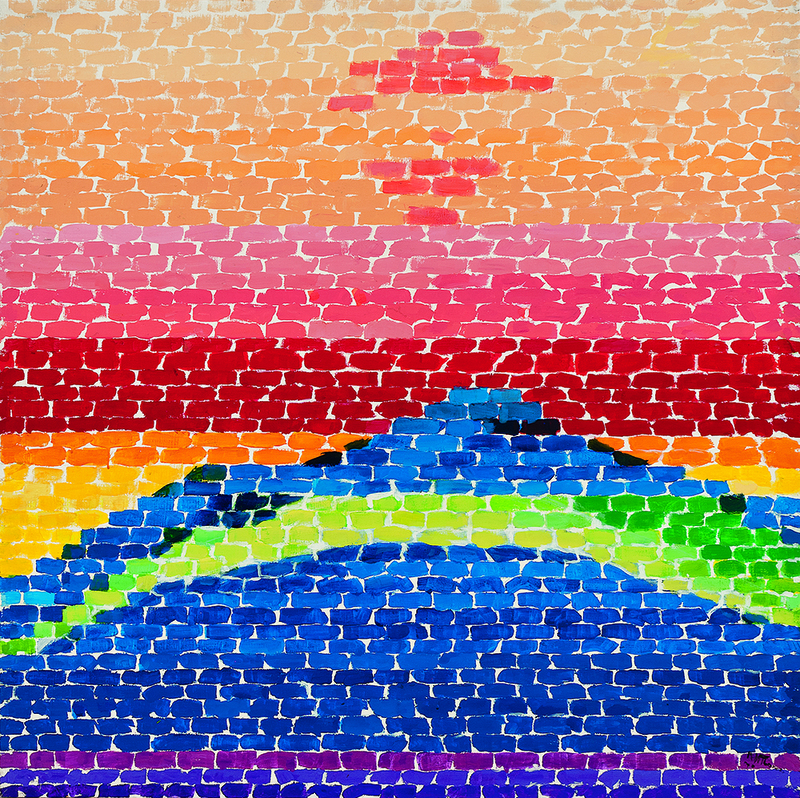 Alma Thomas, Apollo 12, 1970. Courtesy Studio Museum in Harlem. But many of us seek community solely to escape the fear of being alone. Knowing how to be solitary is central to the art of loving. When we can be alone, we can be with others without using them as a means of escape. 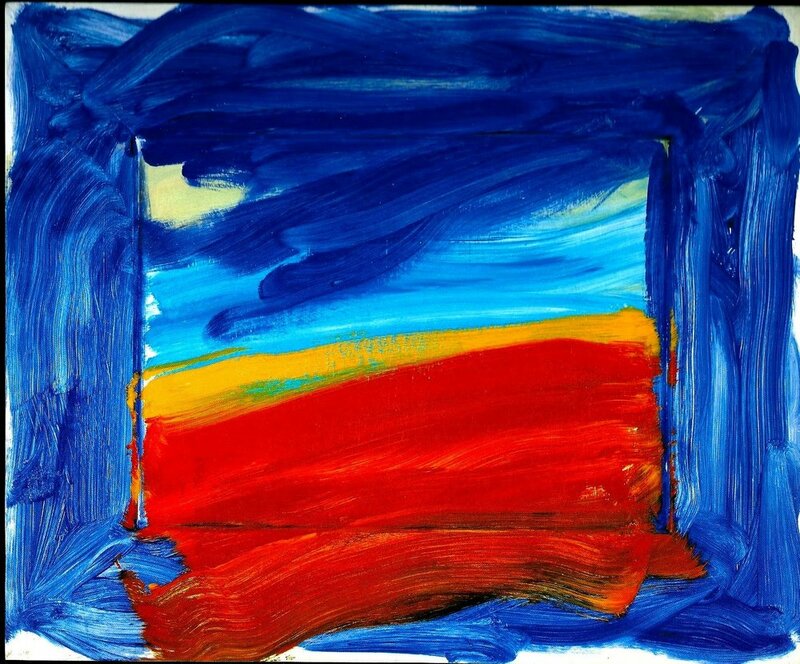 Etel Adnan, Landscape, 2014. © Etel Adnan. Courtesy Galerie Claude Lemand, Paris. Perhaps the primary distinction of the artist is that he must actively cultivate that state which most men, necessarily, must avoid: the state of being alone... Most of us are not compelled to linger with the knowledge of our aloneness, for it is a knowledge that can paralyze all action in this world. There are, forever, swamps to be drained, cities to be created, mines to be exploited, children to be fed. None of these things can be done alone. But the conquest of the physical world is not man’s only duty. He is also enjoined to conquer the great wilderness of himself. The precise role of the artist, then, is to illuminate that darkness, blaze roads through that vast forest, so that we will not, in all our doing, lose sight of its purpose, which is, after all, to make the world a more human dwelling place. I was by myself for a pretty long time. I needed to do that. I think everyone that I know has wanted to do that or needed to do that at some point. I think when you spend enough time when it’s quiet around you and you don’t open your mouth for three or four days, there’s parts of your brain that can kind of rest. I think when we’re out in the world and we have to talk to people, we edit ourselves. You know, we have to like, act a little bit. As honest as we may be as humans, when we’re out here, we’re all kind of wearing mirrors on our faces. You know, constantly reacting to how to react to the people around you. And I think when you’re alone for a long enough time, you can feel a lot more peace. I think I'd like to say only that they should learn to be alone and try to spend as much time as possible by themselves. I think one of the faults of young people today is that they try to come together around events that are noisy, almost aggressive at times. This desire to be together in order to not feel alone is an unfortunate symptom, in my opinion. Every person needs to learn...how to spend time with oneself. That doesn't mean he should be lonely, but that he shouldn't grow bored with himself because people who grow bored in their own company seem to me in danger, from a self-esteem point of view. The cure for loneliness is solitude. Loneliness is the deal. Loneliness is the last great taboo. If we don't accept loneliness, then capitalism wins...because capitalism is all about trying to convince people that you can distract yourself, that you can make it better. And it ain't true. Feature image: Helen Frankenthaler, Nature Abhors a Vacuum, 1973. Patrons' Permanent Fund and Gift of Audrey and David Mirvish, Toronto, Canada. National Gallery of Art, Washington.